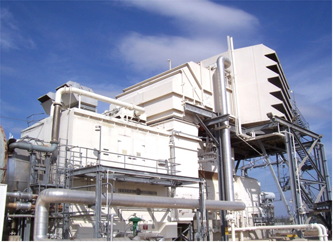 TR500 3-Layer Turbine media is a 100% synthetic with depth loading layer that pre-filters unburnt hydrocarbons and salt unwanted corrosive contaminates. 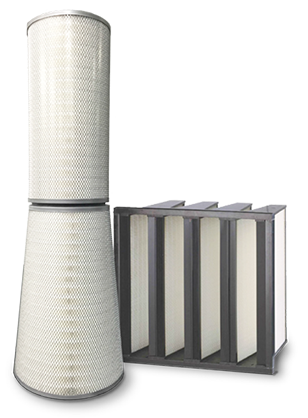 In the secondary stage, water droplets and humidity are blocked by a proprietary ePTFE (PolyTetraFluoroEthylene) layer that only allows pure air to enter the turbine. 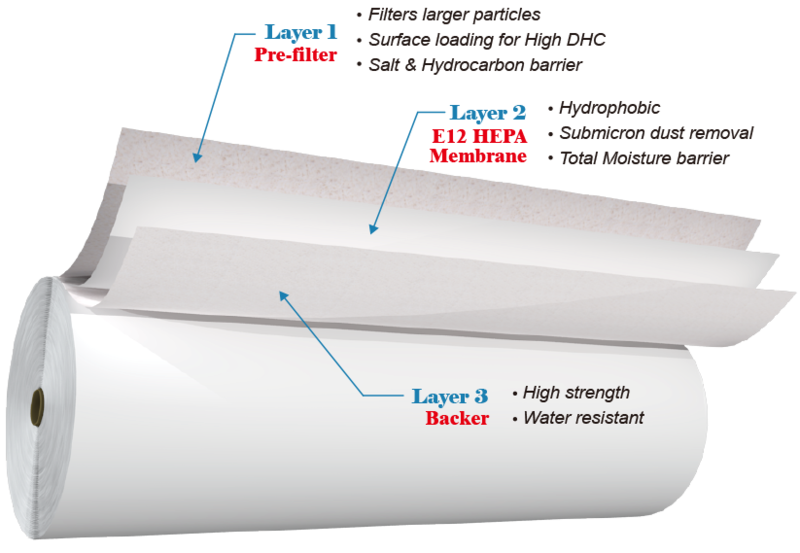 Both layers are backed with a full synthetic nonwoven layer that can by pleated with a rotary or blade system saving time and money. LH TR500 Series is special designed for Gas Turbine Industrial and optimized for most challenging pulse jet cleaning applications.